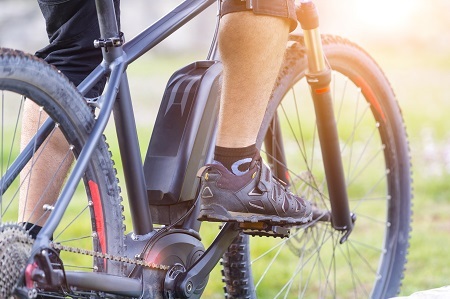 Going up a gear, over the past year there has been an estimated eight per cent increase in e-bike sales by volume, while sales by value climbed 15 per cent. Although only six per cent of cyclists currently own an e-bike, things are set to take off for these pedal assisted bikes - as 14 per cent of cyclists intend to buy one in the next 12 months, a rise from 11 per cent in 2017. Overall, 45 per cent of current cyclists say they would be interested in test-riding an e-bike, while 32 per cent of ‘potential cyclists’* are also interested in trying one out. Just as men of a certain age love their Lycra, it seems they love their e-bikes too. Male cyclists are four times (eight per cent) more likely than female cyclists (two per cent) to own an e-bike. Among male cyclists aged 25-44, e-bike ownership has reached double-digit percentages (11per cent). John Worthington, Senior Analyst, said: “E-bikes are still in the ‘early adopter’ stage, their core customers most likely to be technophile men under 45. The challenge and opportunity for bike brands and retailers is to market the e-bike as something less ‘techy’ and more mainstream. “The e-bike could be the catalyst for opening up cycling as a whole into a more mass participation activity, becoming far less dependent on its Lycra-clad image. The emergence of e-bike hire schemes is likely to provide a stimulus to the burgeoning e-bike market. For major retailers and dealers this is now the fastest-growing product. While the e-bike is experiencing something of a revolution, there has been a definite slowdown in cycling participation. Just over a quarter (27 ;per cent) of UK adults currently cycle, down from 29 per cent in 2017. In fact, 2018 represents the third consecutive year of decline since 2015, when participation peaked at 38 per cent. But there has been a two-percentage point increase in cycle commuting - up to 29 per cent in 2018, from 27 per cent in 2017. Within the London area, the percentage of cyclists who commute by bike has risen by four percentage points to 34 per cent in 2018, from 30 per cent the previous year. Among those who either do not cycle at all or do so only occasionally (less than weekly), 45 per cent cite concerns about road safety as a deterrent. Meanwhile, a quarter of these consumers see the cost of buying/maintaining a bicycle as off-putting (24 per cent); while 24 per cent attribute lack of participation to poor fitness; and a lonely 20 per cent say they do not cycle as they have no one to cycle with. Mintel estimates that 2.5 million bicycles were sold in 2018, down -3.8 per cent compared to 2017. Market value is estimated at £925 million in 2018, a slight rise of 1.6 per cent from 2017. Overall, one in five (20 per cent) cyclists purchased a bike for themselves in the past 12 months. While 46 per cent of cyclists say they are interested in upgrading to a more premium bike, four in ten (40 per cent) cyclists say they change or upgrade their bike less often now than in the past, rising to 47 per cent of Millennials. A further 34 per cent say they are putting off buying a new bike at the moment because of economic uncertainty. Finally, at the ‘performance cycling’ end of the market there is a strong degree of interest in the new wave of ‘smart trainers’ – tools used for connecting a bike to a laptop, tablet or phone and training indoors, riding virtual courses and competing with others. Some 30 per cent of current cyclists either already own or would be interested in buying this kind of technology, meanwhile nine per cent of ‘potential cyclists’ are also interested in buying a ‘smart trainer’.